This article originally appeared in Worcester Magazine’s Thursday, April 26, 2012, issue. All photos courtesy of Dirigo and Comanchero. Potato, potahto, tomato, tomahto? Let’s call the whole thing off. Both Dirigo and Comanchero, who come together for a show on April 27 at Tammany Hall on Pleasant Street in Worcester, label themselves, though both also get a little squirmy about labels. Dirigo, who describe their music as “jamericana,” and Comanchero, who call theirs “nuevo Americana,” want listeners to be more open-minded. “The song is the essence of the whole thing,” Patchen adds. “I come from a background of The Beatles and The Rolling Stones, and Neil Young, for example, where the essence of the song is really the heart of the whole thing, and then stretching it out, letting it breathe and improvising on it is the secondary part,” he explains, citing The Stones’ “Let it Bleed” and “Sticky Fingers” as particular inspirations. Comanchero, made up of brothers Greg Moon (vocals, drums) and Bob Moon (vocals, guitar), Andrew Kramer (bass), Sam Margolis (vocals, guitar), and Jim Levin (percussion), came together in 2003, and have since released three CDs. The most recent, 2011’s “The Undeserved,” has received great reviews (see accompanying CD review) in a number of high-profile American and U.K. publications and paved the way for a recent gig with Ronnie Earl at the Regent Theatre, and spots this summer at the 2012 Harpoonfest, in Boston, and opening for Crosby, Stills & Nash in New Hampshire. Of the April 27 show, Margolis says, “I can’t wait to play Worcester with Dirigo. This will be our fourth show playing with them and they tear down the house at every show. They’re amazingly talented musicians and can captivate their audience until the last note is played.” So, call it what you want. This Tammany show will unquestionably feature two road-tested, dynamic live acts with a taste for good old songs. And there might just be a little jamming, too. 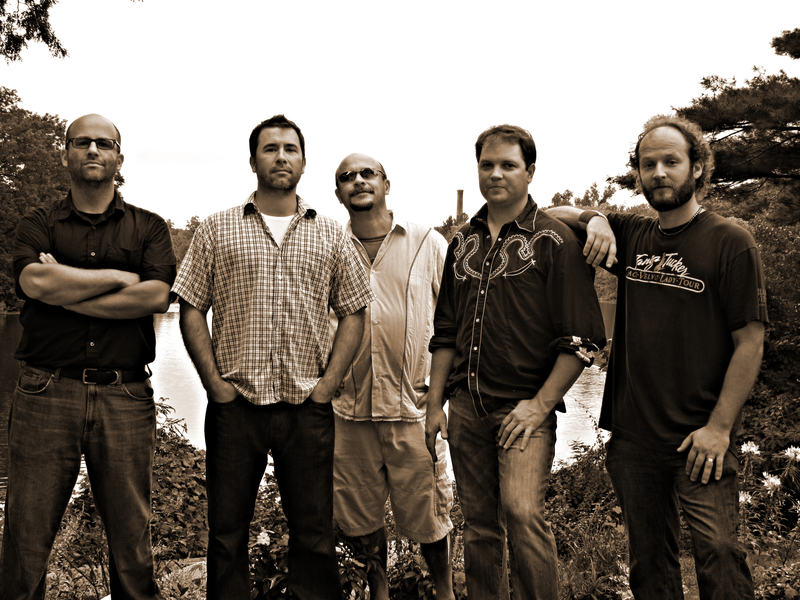 Dirigo and Comanchero, Friday, April 27, 2012. Tammany Hall, 43 Pleasant St., Worcester. dirigomusic.com, comancheromusic.com, tammanyhalllive.com.